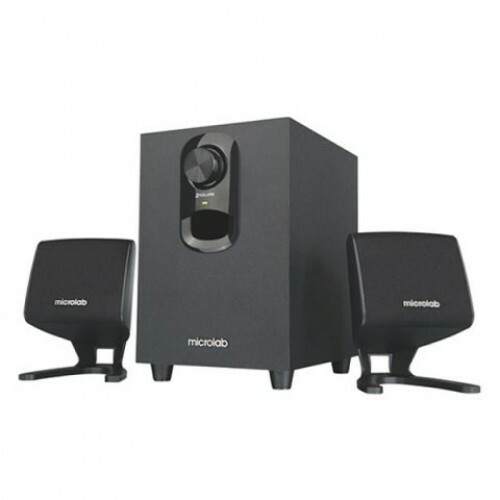 Microlab M108BT Bluetooth 2.1 Speaker comes from M series. It will bring full audio range music to your life. It's Beautiful finish design M-108BT has the stylish black colors design ,which is super beautiful for your personal space decoration. The wooden materials can also be kept for a long period. Microlab M-108BT Great sound solution provides clean and high quality sound for most of your music needs. It is ideally for watching movies, playing games and listening high definition music. Easy music control M-108BT provides conveniet control solution to every music liker. It features the front volume control for quick sound adjustment.